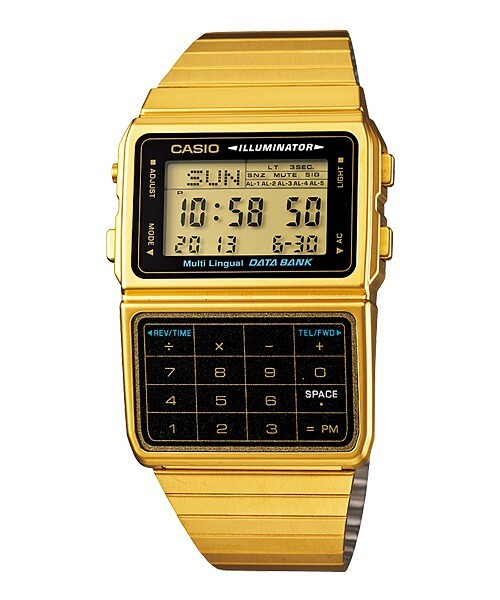 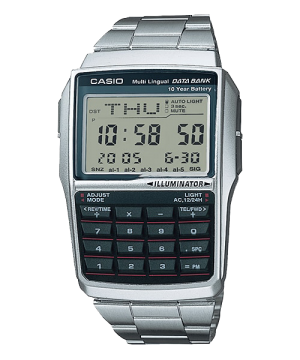 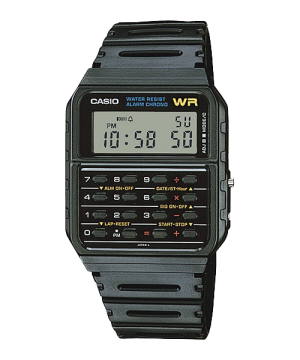 Combine a digital timepiece with a 10-key pad calculator and you get all the convenience of an 8-digit calculator in a wristwatch. 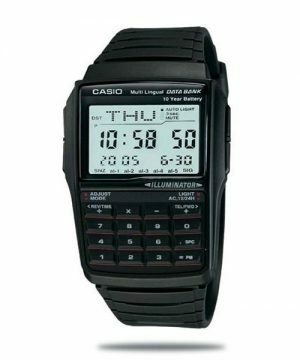 A big, high-contrast LCD makes figures easy to read. 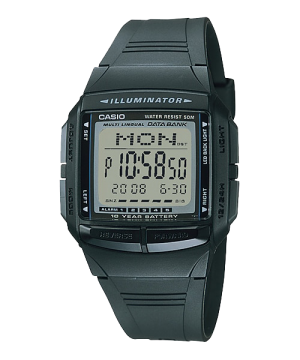 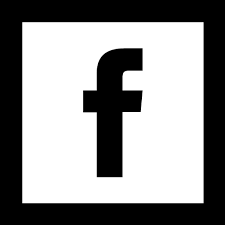 Other features include databank capabilities, day of the week display in 13 languages, and 10-year battery life for uninterrupted operation.